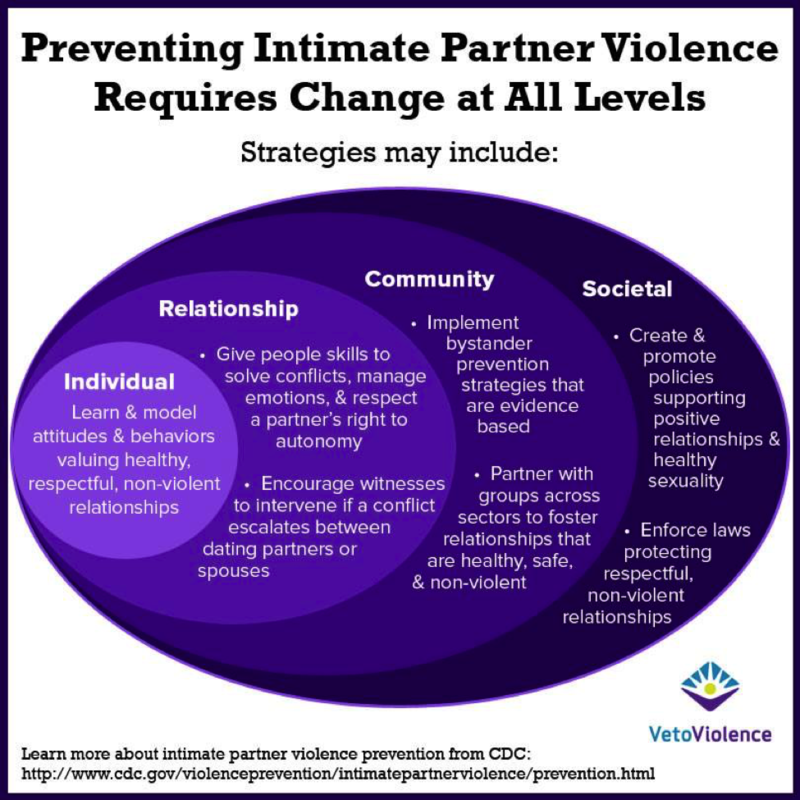 VetoViolence uses a four-level social-ecological model to explain the potential benefits of violence prevention strategies. 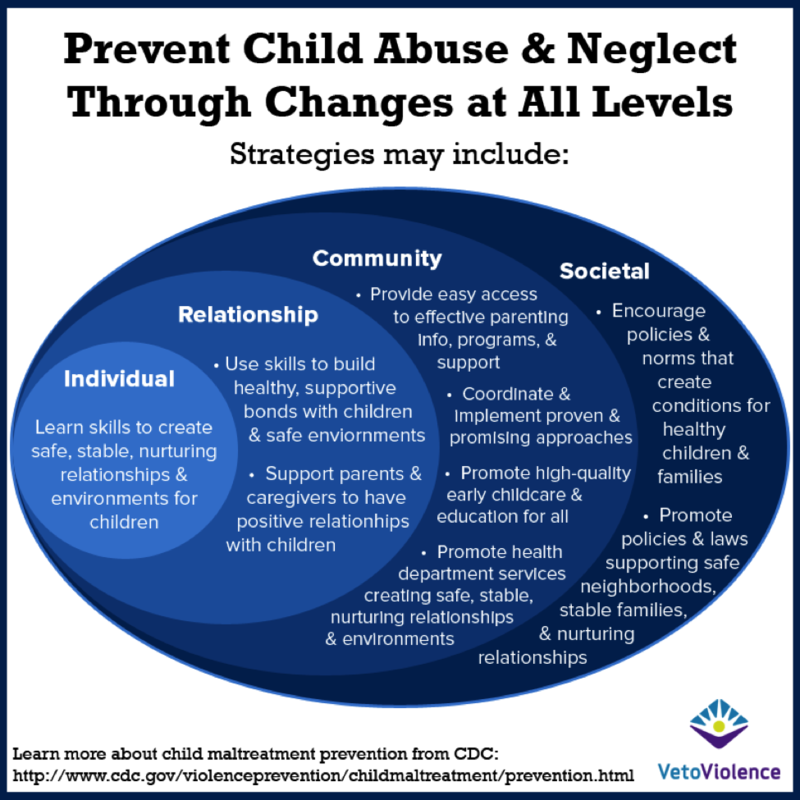 We have filled the social ecological model with some strategies at each level for preventing child abuse and neglect, intimate partner violence, sexual violence, teen dating violence, and youth violence. The social-ecological model considers the intricate interaction between individual, relationship, community, and societal factors that influence the likelihood of violence. 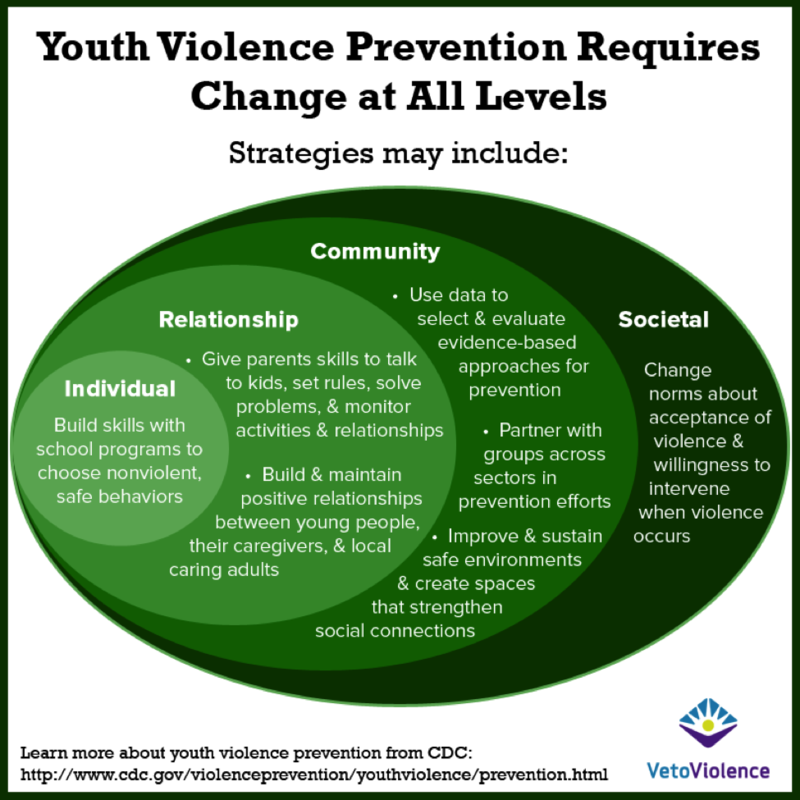 A prevention approach that addresses factors at multiple levels is more likely to reduce violence over time. Individual: The first level of the model identifies biological and personal history factors that increase the likelihood of becoming a victim or perpetrator of violence. Individual factors include: Age, education, income, substance abuse, or history of behaving aggressively or experiencing abuse. Relationship: The second level focuses on close relationships and explores how relationships increase the risk of being a victim or perpetrator of violence. 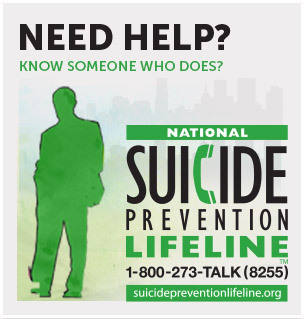 Relationships include: Family, friends, intimate partners, and peers. Community: The third level explores the settings in which social relationships take place, and identifies the characteristics of those settings associated with becoming victims or perpetrators of violence. Settings include: Schools, workplaces, and neighborhoods. Societal: The fourth level looks at the broad societal factors that help create a climate in which violence is encouraged or inhibited. Societal factors include: Social and cultural norms; and health, economic, educational, and social policies.